March | 2014 | Larval Subjects . For anyone who’s interested, here’s an interview (.pdf) with me conducted by Graham Harman on Onto-Cartography. What is a theism? Any transcendence of the One over the many. This is why humanism, patriarchy, monarchies, companies governed by managers and CEOs, racisms, nationalisms, and so on are as much theisms as Christianity, Islam, Judaism, or any other monotheistic religion. Wherever there is a sovereign or a father there is a theism. Or as Deleuze and Guattari put it,” [W]erever there is transcendence, vertical Being, imperial State in the sky or on earth, there is religion and there is Philosophy only where there is immanence… only friends can set out a plane of immanence as a ground from which idols have been cleared” (Quoted in LeRon Shultz, Iconoclastic Theology, .pdf, 1). It matters not if that theism is secular, without anything divine or supernatural. It is no less a religion for all that (as Compte well saw in his humanism). It is for this reason that atheism is a synonym for anarchism. Atheology targets this structure wwherever it might occur. 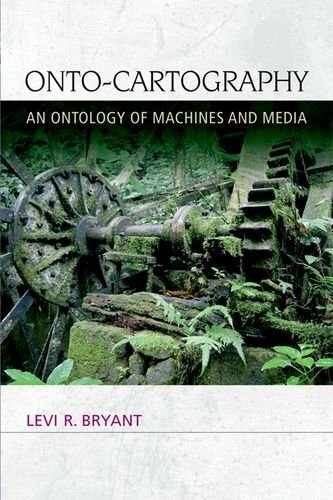 For anyone who’s interested, the .pdf of the introduction to Onto-Cartography can be found here. So apparently this is a thing. Received it in the mail today. Scattered thoughts that will probably get me in trouble, but here goes. In preparation for the three-part GCAS course on Atheology I’ll be teaching in the coming months, I’ve found myself reading Schmitt’s Political Theology. One of the things I hope to do with this course is show how theism is far more pervasive in thought than figures like the work of the vulgar new atheists would suggest. This is a point I’ve made for a long time, beginning with my first published article “The Politics of the Virtual”, throughout my work on masculine sexuation in Lacan’s graph of sexuation, and in my discussion of flat ontology in the final chapter of The Democracy of Objects. “Flat ontology” is basically synonymous with “atheism”, “naturalism”, and “materialism”. The point is that theism is not simply the thesis that a divine, supernatural being exists, but is rather a structure of thought that can come in both religious and secular variants. 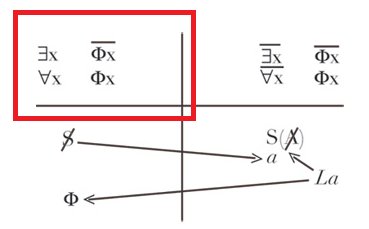 For example, despite his avoid atheism, I take it that Laplace’s thought is a variant of theistic structure due to the position he grants to the observer in his imaginary thought experiment designed to defend determinism. In imagining a completely deterministic universe, Laplace invites us to imagine an ideal observer that is above and outside of all being and that knows the trajectory, velocity, and position of every particle that composes existence. Onto-Cartography gives an unapologetic defense of naturalism and materialism, transforming these familiar positions and showing how culture itself is formed by nature. Bryant endorses a pan-ecological theory of being, arguing that societies are ecosystems that can only be understood by considering nonhuman material agencies such as rivers and mountain ranges alongside signifying agencies such as discourses, narratives, and ideologies. 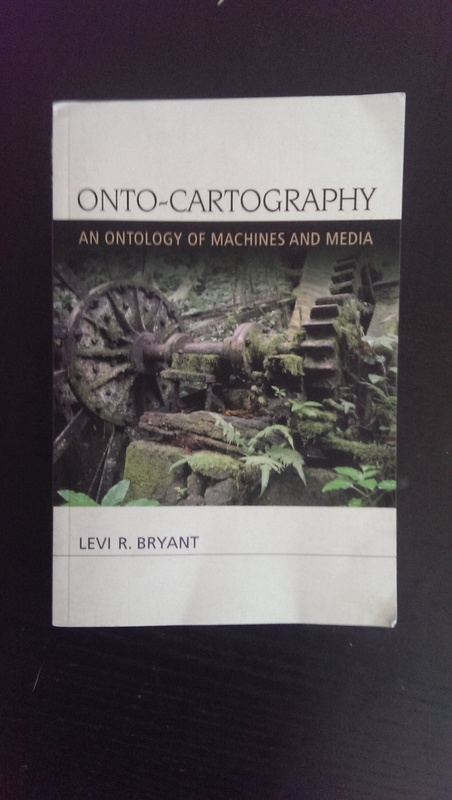 In this way, Bryant lays the foundations for a new machine-oriented ontology. This theoretically omnivorous work draws on disciplines as diverse as deconstruction, psychoanalysis, Marxism, media studies, object-oriented ontology, the new materialist feminisms, actor-network theory, biology, and sociology. Through its fresh attention to nonhumans and material being, it also provides a framework for integrating the most valuable findings of critical theory and social constructivism.